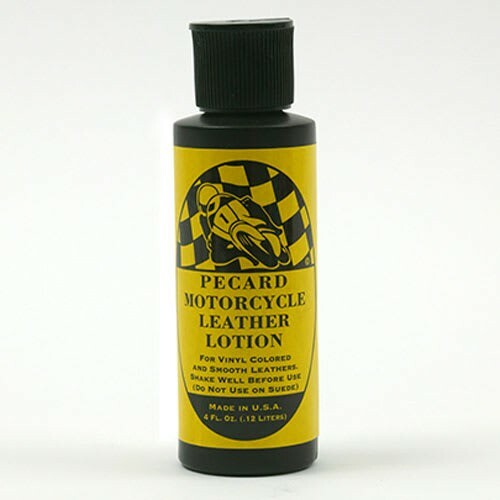 This Motorcycle Leather Lotion is a wax-free, water-based formula that cleans, conditions, preserves, and leaves a protective water-resistant finish on all non-glossy smooth, textured smooth, and vinyl coated leathers. 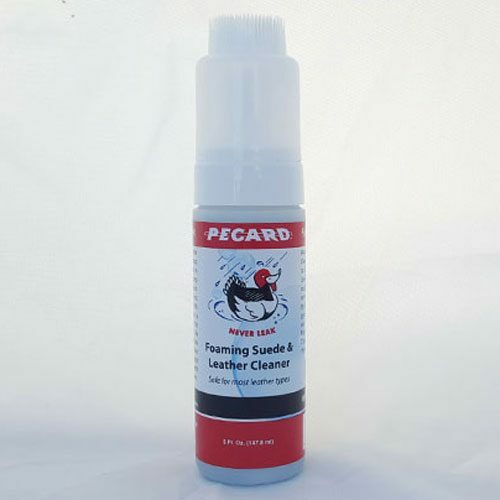 It’s ideal for coated leather because it penetrates the surface coating to condition the leather underneath and keep leather soft and supple. 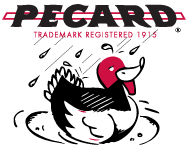 It is also the product of choice for newer natural tanned leather items, offering superior protection where little or no color change is desired. The lotion is best used when a shiny surface is not desired. Safe for all colors, including white leather. Do not use on Suede or NuBuck (use our NuBuck and Suede Spray instead).